We take fresh ideas and clever approaches to combine perfect event management and environmental awareness into green events that will be long remembered. These are not exercises in doing without, however. These events celebrate the fun that can be had with intelligent, environmentally-friendly solutions. The best way to protect the climate is not to have CO₂ emissions in the first place. We will analyse each aspect of your event for its potential to be even more environmentally responsible and work with you to develop a green event concept tailored to your needs. For all unavoidable CO₂ emissions, we work with our partner atmosfair to prepare a detailed CO₂ footprint for your event. You can then choose to offset these emissions by sponsoring high-quality climate protection projects. Take advantage of public and media interest and make green events a part of your sustainability strategy. Use our detailed documentation of all the sustainability measures and impact of your green event to support you in pursuing your company’s sustainability goals. Without pointing fingers! We make sustainability tangible by designing exceptional green events that address all of the senses. Whether it’s a healthy smoothie and vitamin bar, unique upcycled decoration, or generating electricity on a dance floor. Get ready to be surprised! The best way to avoid creating more waste is to create new, one-of-a-kind products from what has been discarded. 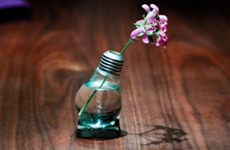 Whether it’s making lounge furniture from waste lumber or vases out of old light bulbs, it’s little ideas like these that will make your event special. 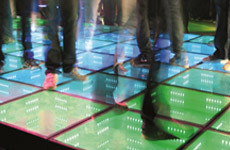 Generate electricity by dancing? Sure, with the sustainable dance floor! Retractable panels convert the kinetic energy into electricity. Never has sustainability been so much fun! A full pack of vitamins for your event! 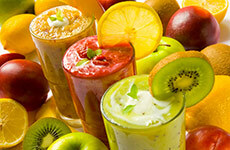 We can bring summer to your event year-round by serving your guests fresh juices and smoothies. It’s sure to be a memorable highlight of any convention! There is probably no better way to increase awareness of how we use energy. 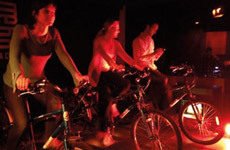 With the bicycle disco, the guests take turns pedalling to create the electricity to power the music, turning sustainability into an inherent part of the event. Make a statement and turn your event green! Eco-friendly travel to/from the event, sustainable catering, and more: we can put your entire event under the microscope. Waste is one of the most visible problems at any event. A well-designed procurement and waste concept helps to avoid creating garbage in the first place. Up to 90% of waste can be avoided through the use of reusable packaging, bulk containers, and paperless communication. Any unavoidable waste is separated for recycling. From fair-trade flowers to recycled napkins. When purchasing products and services, pay attention to environmentally-sound and also socially-responsible production and delivery practises. 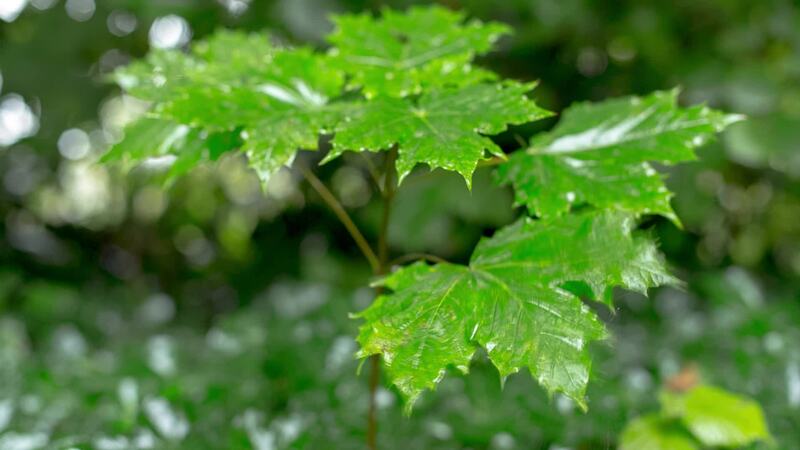 Well-known eco-labels such as The Blue Angel and the European Union Ecolabel can help here. Organic, regional, seasonal, and fairly are the four basic principles of sustainable catering. Fresh produce from the region not only protects the environment by travelling short distances, it also supports the local economy and is the most sensual way available to raise your guests' awareness of sustainability issues. Finding environmentally-friendly suppliers of power is key to sustainable event management. This especially plays a role in the selection of the venue, where factors such as building insulation and the use of green electricity should play a role. Checking the lighting, sound and stage technologies, and HVAC systems also offer numerous opportunities to increase the energy efficiency of your event. A green event will only have a long-term event if you let your guests and the public know about it with comprehensive communication before, during, and after the event. Information about sustainability measures, eco-friendly travel arrangements, and CO₂ emissions not only creates awareness, but also promotes imitation of your efforts. The main environmental impact of events is usually driven by the transport of attendees and goods to and from the event. Selecting a venue with good transport connections, offering shared shuttle service to the nearest train station, and comprehensive preliminary information on public transport will help motivate guests to leave the car behind. In addition to environmental protection, being socially responsible is another key element of sustainable event management. The measures range from keeping noise levels down, protecting youth, equal opportunities, and accessibility. Responsible use of water resources means reducing consumption and keeping pollution to a minimum. In addition to water-saving taps and toilets in kitchens and WCs, we pay particular attention to the use of biodegradable cleaners.